Is there any more important travel accessory than earphones? Even if you’ve only a passing interest in travelling light, a pair of earphones that can slip easily into a shirt pocket is a must-have on any journey. But what if you don’t have a pocket? 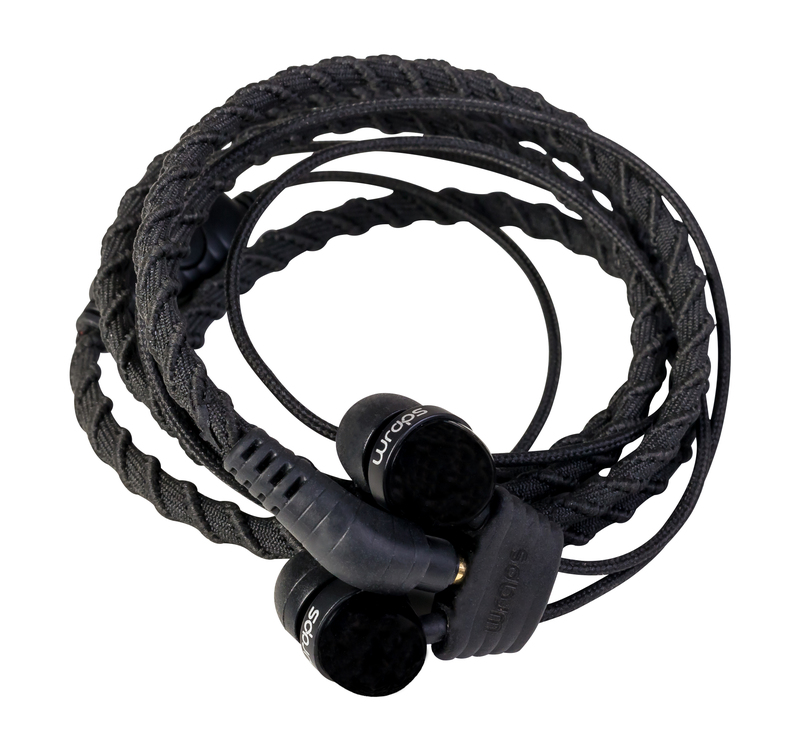 Although the Wraps Talk earphones have ‘yoof’ branding, at their core is a highly practical design; instead of earphones ending-up as a tangled mess in a pocket, why not loop them round a wrist? Fashion accessory? Maybe, but TravGear.com has no truck with fashion. Space-saving travel accessory? That’s more like it. We have reviewed these before in a similar guise, though this latest design from British Audio Industries packs even more punch when it comes to long journeys. The slider system stays, as do the unremarkable 10mm drivers, but new to the concept is a built-in microphone for hands-free calling. It proved easy to use in our test, though as well as making calls that in-line control adds play/pause and skip track controls. Though the Wraps Talk won’t appeal to everyone in terms of style, their practical design make them a standout among other entry-level earphones.